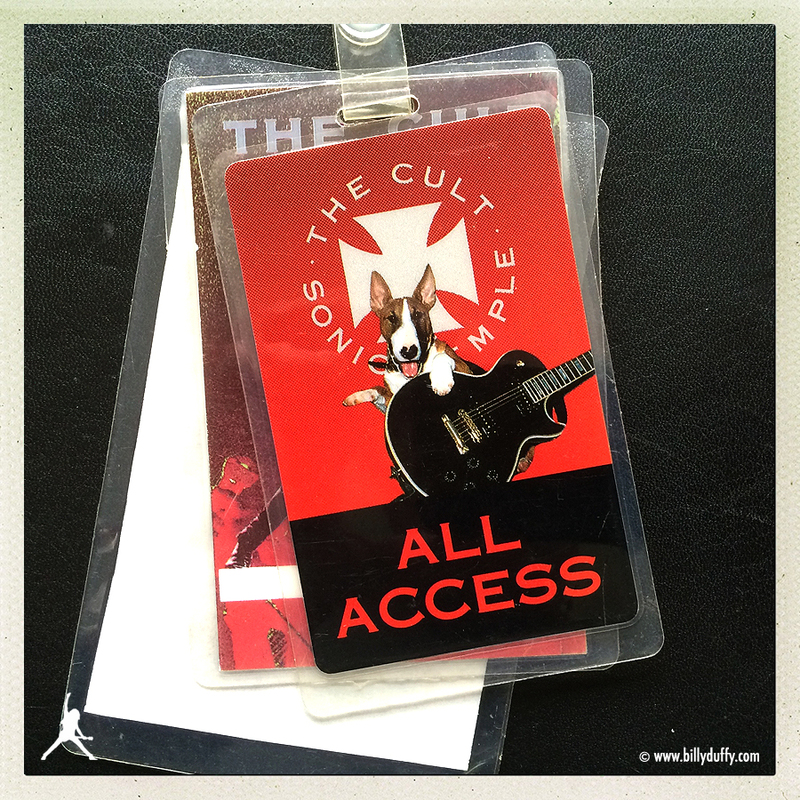 Billy's Laminate from The Cult 'Sonic Temple' World Tour in 1989/90. "This pass features my dog at the time, an English Bull Terrier called Luke. He joined for most of the Sonic Temple album tour in the USA and travelled with me on the tour bus. Quite often Luke had to be smuggled into non dog friendly hotels (especially in Florida) inside a holdall... but he was just a pup (6/9 months old) during that tour!"